WEYMOUTH, Mass. 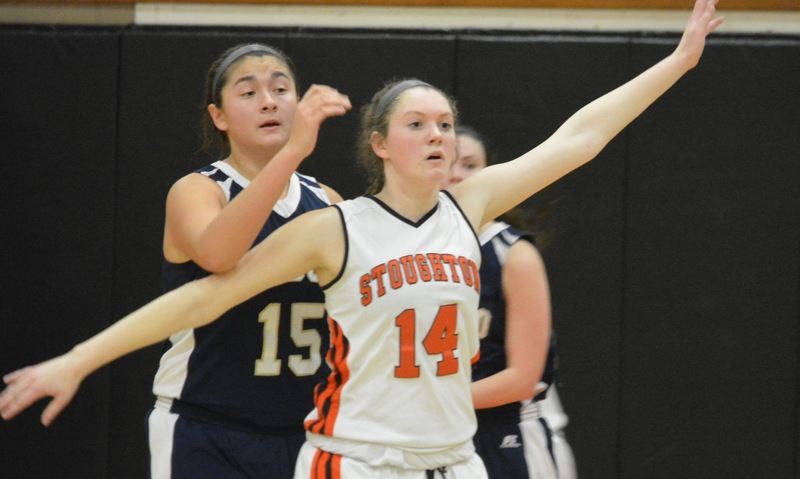 – Just four days after being four seconds away from clinching a playoff spot at Stoughton, Canton was forced to play an extra four minutes on Tuesday night at Weymouth to try and extend its season and end a seven-year wait for a return to the postseason. The Bulldogs watched a buzzer beater fall short at the end of the fourth quarter, regrouped in the huddle, and outscored the Wildcats 13-7 in the extra period to pull out a 65-59 road victory that means Canton (10-10) will be playing playoff basketball for the first time since 2011 and first time under head coach Jim Choquette. Jerrier finished the game with 15 points and 14 rebounds, including nine points in the fourth quarter and overtime, but it was not her typical dominant performance in the paint. Instead, Canton turned to an unlikely hero. 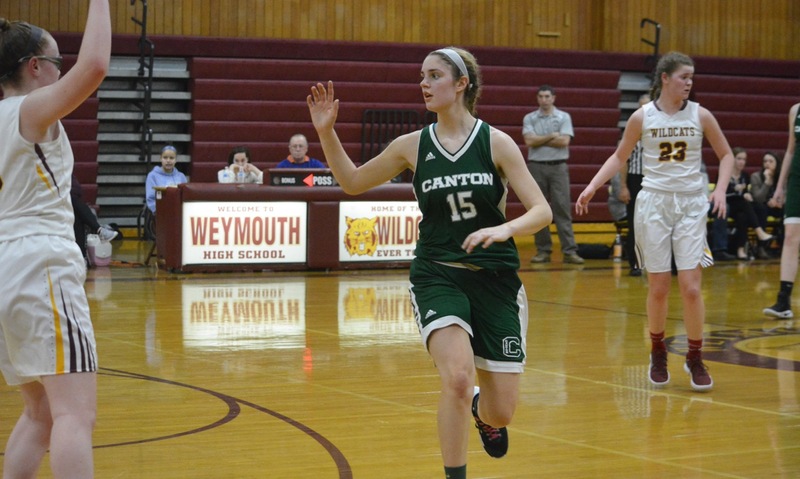 Sophomore Lilah Milton came off the bench to score a career-high 21 points and pull down 10 rebounds in the biggest game of Canton’s season. 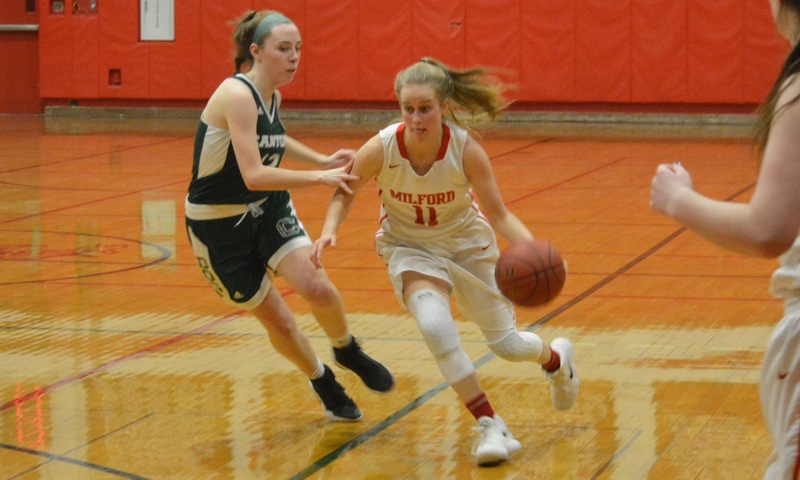 “For a sophomore who never even played JV, for her to step in during the two biggest games of the season for us and have that success and that much confidence shows a lot of how far she’s come,” said Choquette of Milton. Things did not start well for the Bulldogs. They fell behind by as many as 11 in the first quarter, trailing 15-4 to the Wildcats, who also won the first meeting between the teams back in January. Molly Ludwig scored on an offensive rebound and then Maggie Connolly scored off an assist by Jerrier to cut the lead to six at the end of one. Connolly scored only four points on Tuesday, but was the most aggressive player on the floor, willing Canton back into the game in the early going. She finished with 12 rebounds and seven assists, as well as being a pest defensively. 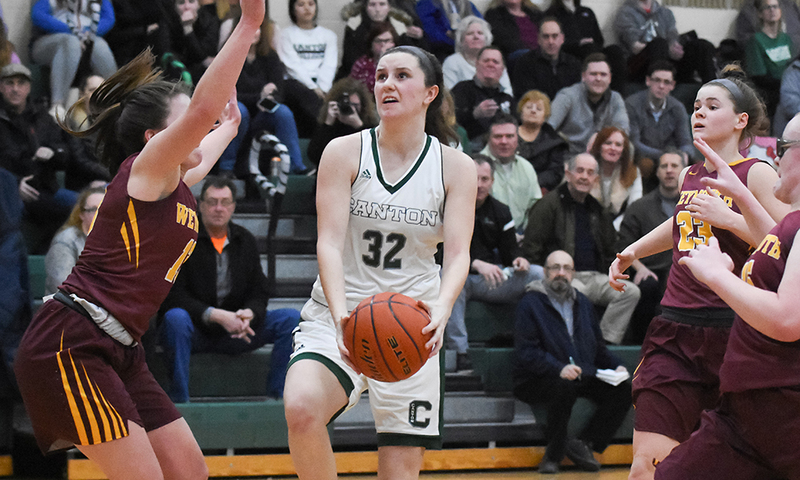 In the second, Canton started to clamp down on defense with Erin Devine getting a pair of blocks to fire up the traveling fans, which included the boys’ basketball team. Devine (12 points) also chipped in with six points in the quarter, as Canton started to get the ball into the paint. Milton also started to get going in the second with a three-point play off a Devine assist and then a jumper off a pass from Julia Hamilton. Connolly fought for an offensive rebound in traffic and fed Milton for another layup to tie the game at 25-25. Hamilton drilled a three to give Canton its first lead since the opening basket. Weymouth took back the lead in the third quarter when it caught fire from beyond the arc. 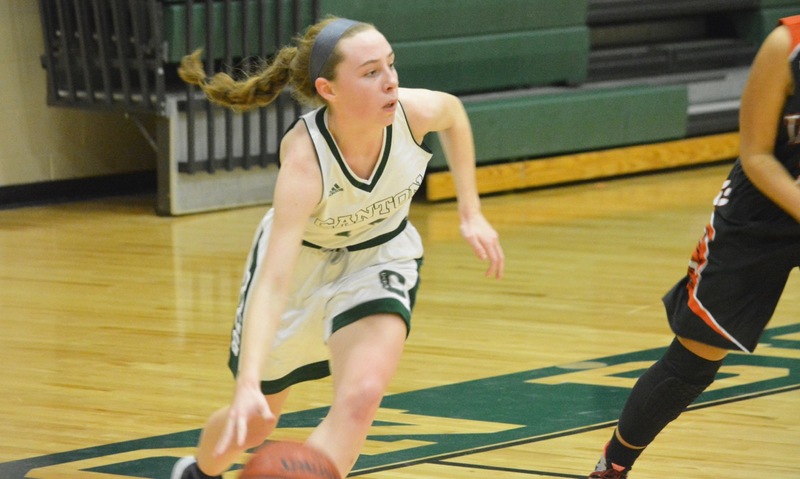 The Wildcats made four three-pointers, including a trio from Kerin McCarthy (18 points). Devine scored four points in the third and Hamilton (11 points) hit her second three, but the Wildcats led by one heading to the fourth. The hosts scored the first four points of the fourth but Jerrier answered with banked three from the left wing to cut the lead back to two points. After another McCarthy three, Milton scored on an offensive rebound and knocked down a short jumper. Following a pair of free throws by Jerrier, Milton hit a turnaround off glass from the right box to give the Bulldogs a one-point edge with a minute to play. “It’s amazing to have some of these underclassmen who haven’t had that much varsity experience come into these big games like this and take over,” said Jerrier. Twice Canton appeared to have a steal that could have iced the game. 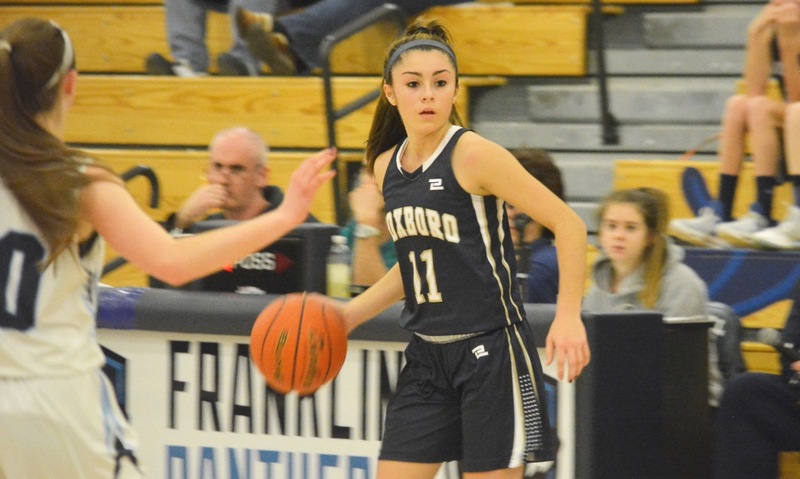 Connolly was unable to get her feet set when she lunged to pick off an inbound pass and was called for traveling and then Jerrier had the ball knocked away after another inbound mistake by the Wildcats, but the officials ruled that she touched it last. On its third attempt, Weymouth got the ball to Delaney Spinney and she knocked down a jumper for a 52-52 tie. On the other end, with under 10 seconds to play, a pass to Jerrier appeared to get knocked away by a Weymouth defender, but again the call went against the Bulldogs. The Wildcats would get one last chance and had a decent look but the shot did not fall and Canton stayed alive. Twice Canton took the lead in the overtime only to have Weymouth answer back. Milton gave the Bulldogs the lead for good when she scooped up a loose ball and knocked down another mid-range shot. Jerrier added a jumper of her own and then Milton scored off a feed from Connolly for a six-point edge with 1:14 left. A three cut the lead in half, but the players never looked as nervous as the people in the stands. Hamilton made 5-of-6 from the line in the final minute and Canton was finally playoff-bound. “Ultimately, the one that we needed to have a win in, the girls came through,” said Choquette. “So many game we rely on Hannah to do everything. We need 30 points; we need 18 rebounds and thank God she can actually play that well. But tonight, I was so proud of the rest of the girls stepping up.